A Gwynedd county councillor who admitted stealing more than £53,000 while a sub-post master has resigned. Dewi Lewis, who ran the post office in Penrhyndeudraeth, took the money to try to keep afloat his business, Siop Dewi, Dolgellau magistrates heard. The post office was operated from within the shop. The theft, which is said to have taken place between 31 August last year and 15 March 2011, came to light during an audit of the branch by Post Office Ltd. It was confirmed on Thursday that Mr Lewis had resigned as a councillor. The court heard that Lewis had been transferring the funds to his business account but most, if not all, of the money had been paid back. 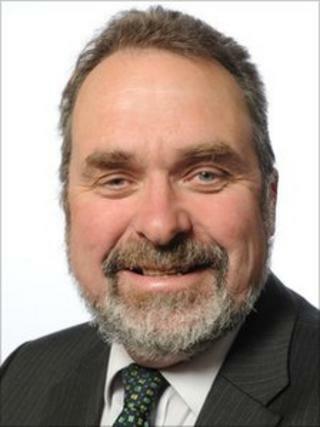 The former Plaid Cymru councillor used to hold the economy and community portfolio on the council's board. A Gwynedd council spokesperson said councillors had to resign in writing. Lewis will be sentenced at Caernarfon Crown Court on 25 August.